2. 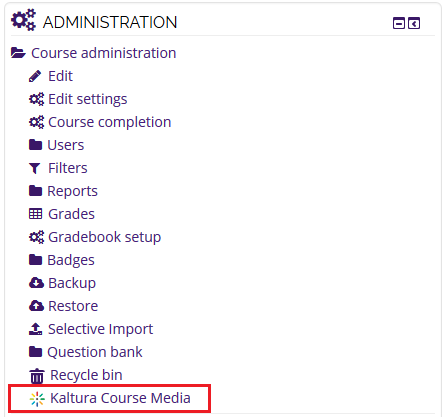 In the Administration block on the left, click on Kaltura Course Media. Below are images of the Administration block for faculty and students. 3. To publish new media, select Add Media. 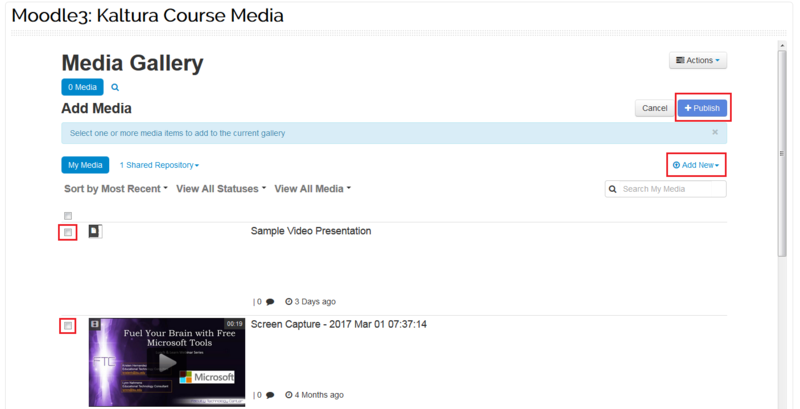 This will navigate you to your My Media page. 4b. 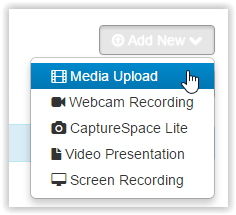 If you want to add a NEW video, click the Add New menu and make your selection and continue with the following steps. 5. 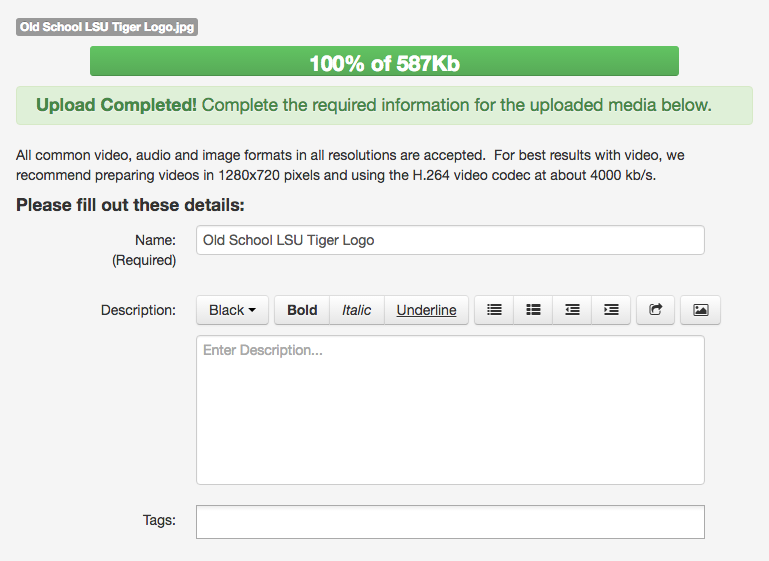 Select the Choose a File to Upload button on the Upload Media page. Then select Go To Media Gallery. 7. 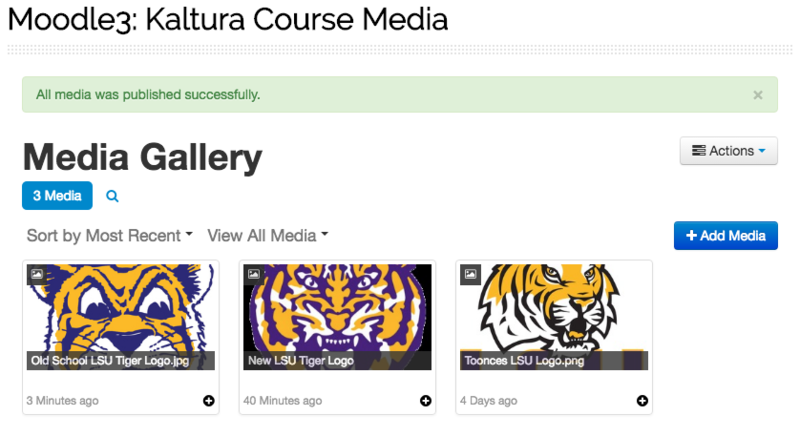 Your media will now be displayed in the Course Media Gallery.